So here I am, a person who cannot paint, and who is far from being a Photoshop expert, making a claim, no matter how tentatively, to being an artist. But then: why not? That’s how everything in my life began: with an uncertain tentative step, followed by a series of them. One has to be foolish enough to act on his presumptions, sometimes, no matter presumptuous they might seem. 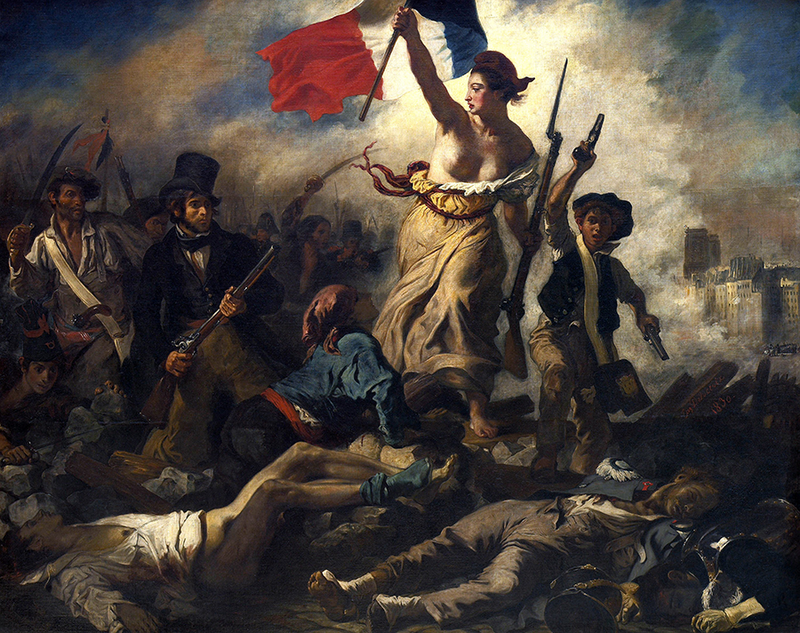 Understanding the artworks in this collection requires a certain familiarity with the original painting by Delacroix, especially what each portrayed character is meant to represent. Watching this video might help; so will this description on the Louvre Website. The various entries under this series can be accessed here.